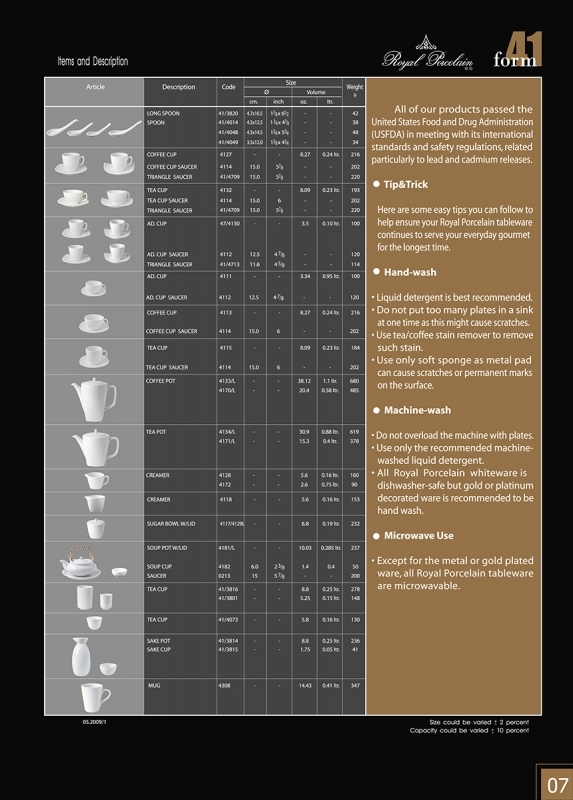 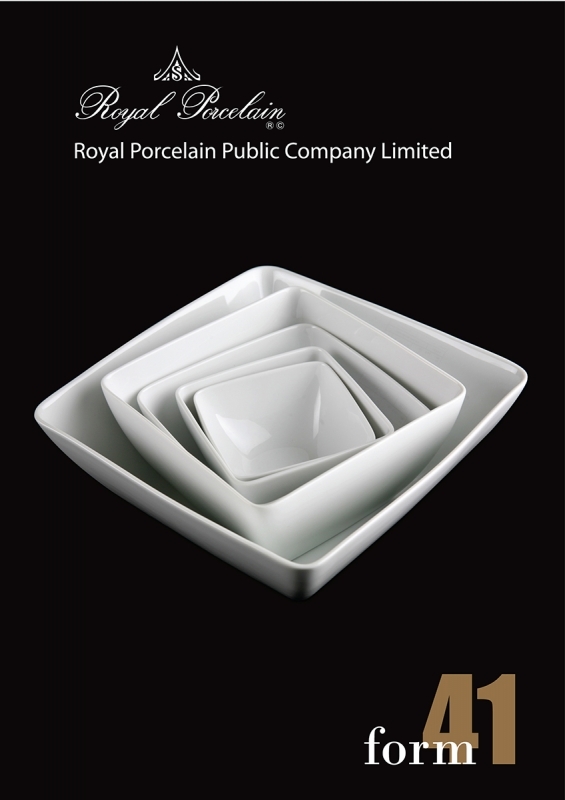 This is a complete range of tableware for Japanese cuisine. 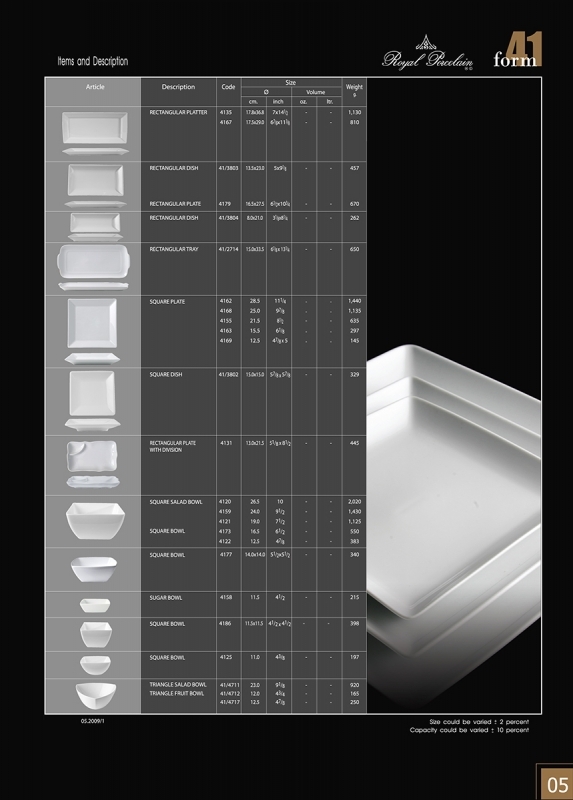 It provides a high level of functionality with clear-cut design that makes it a perfect stage for food presentation. 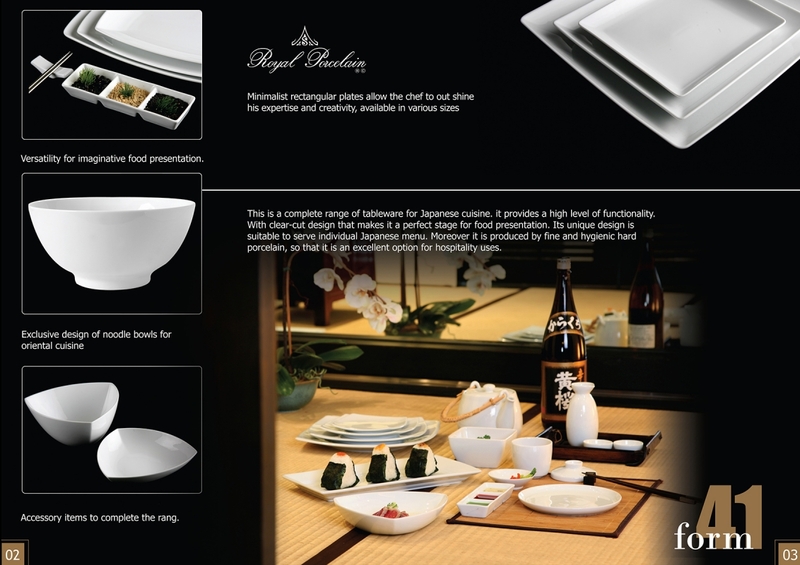 Its unique design is suitable to serve individual Japanese menu. 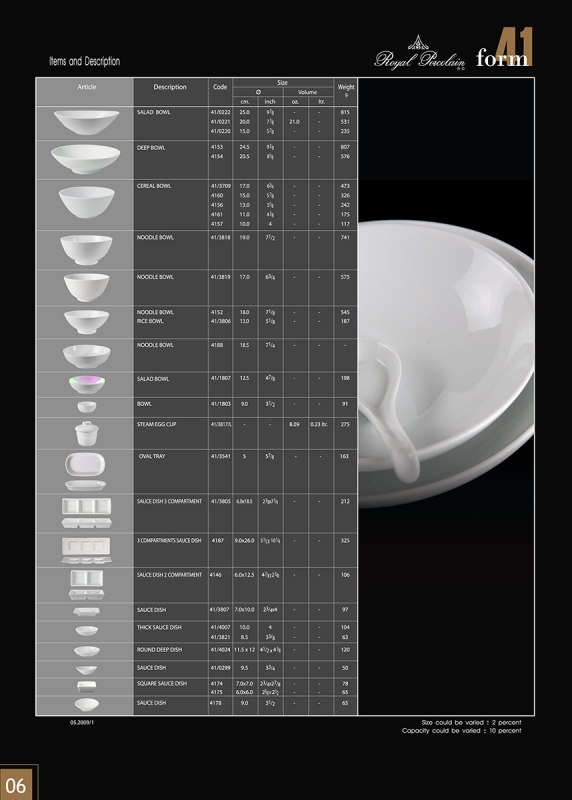 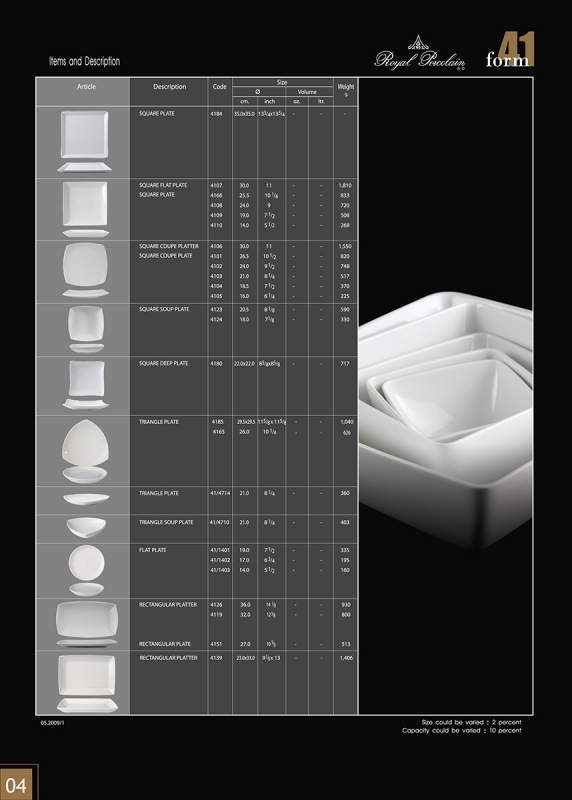 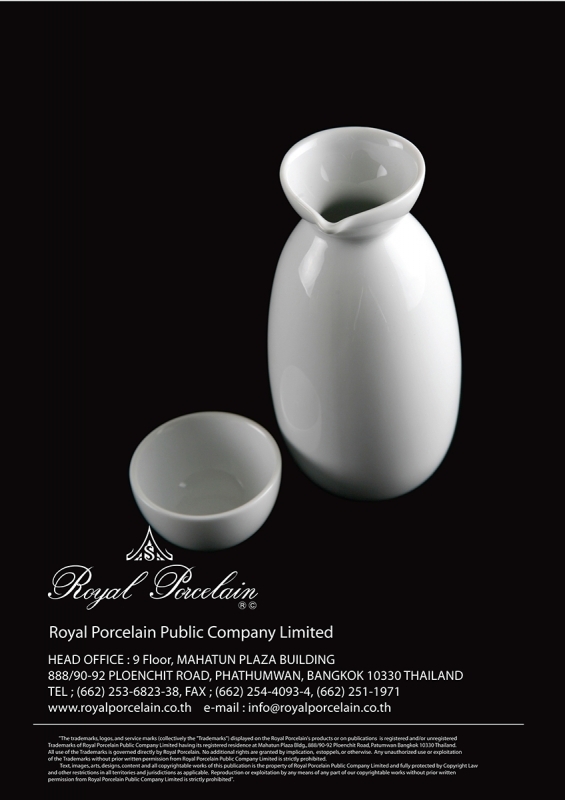 Moreover, it is made of fine and hygienic hard porcelain, so that it is an excellent option for hospitality uses.